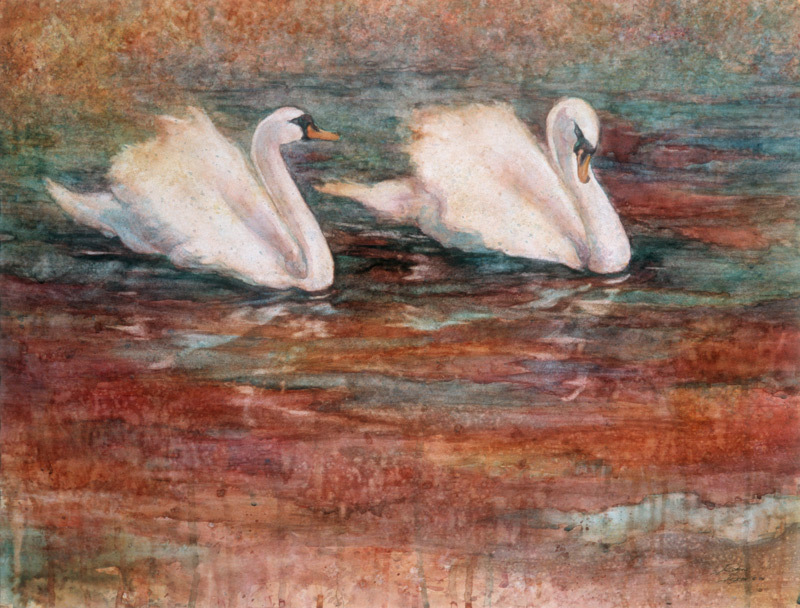 My “Pond Series” is a series of spontaneous watercolors Inspired by wildlife and nature sightings in and around the pond on my parent’s farm with the plethora of sights, sounds, smells, and textures found in and around them. 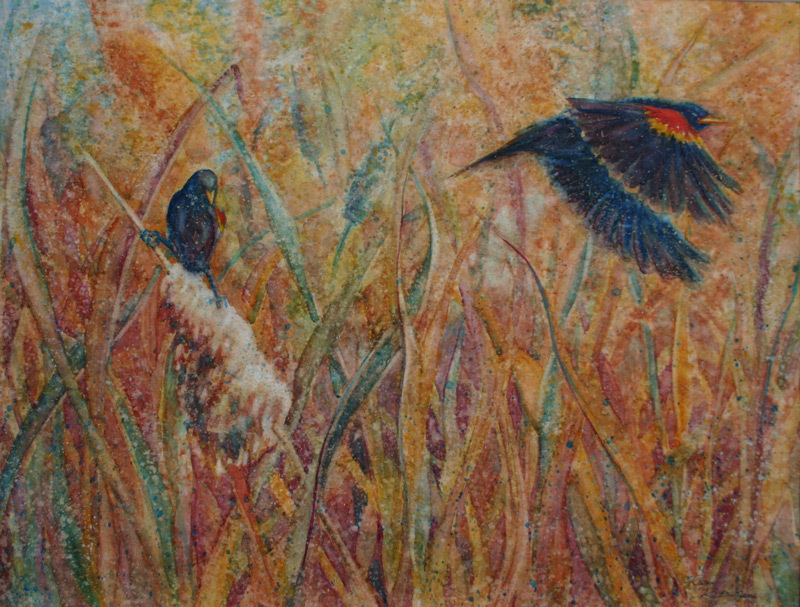 I capture the momentary microcosm that caught my attention; the light, reflections, wildlife, and/or atmosphere through the organic and lively textures. 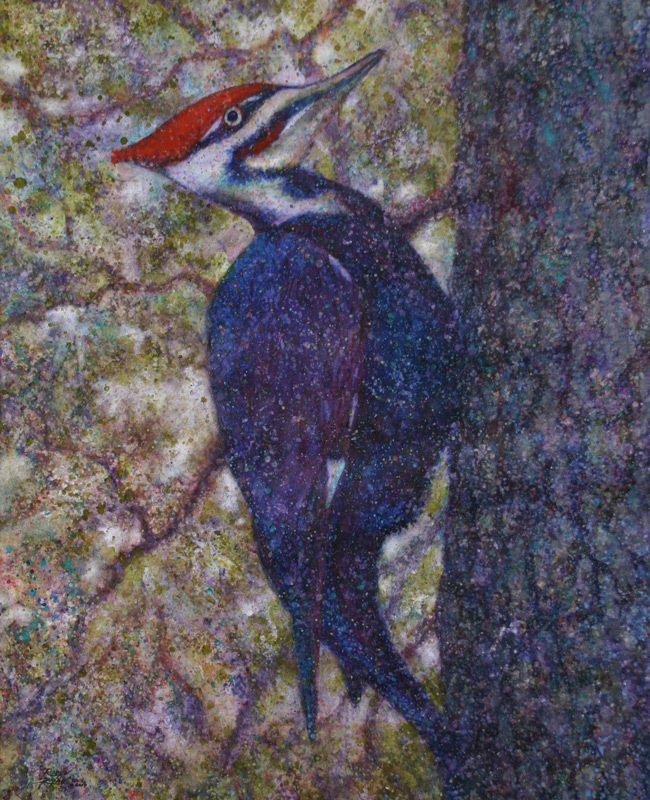 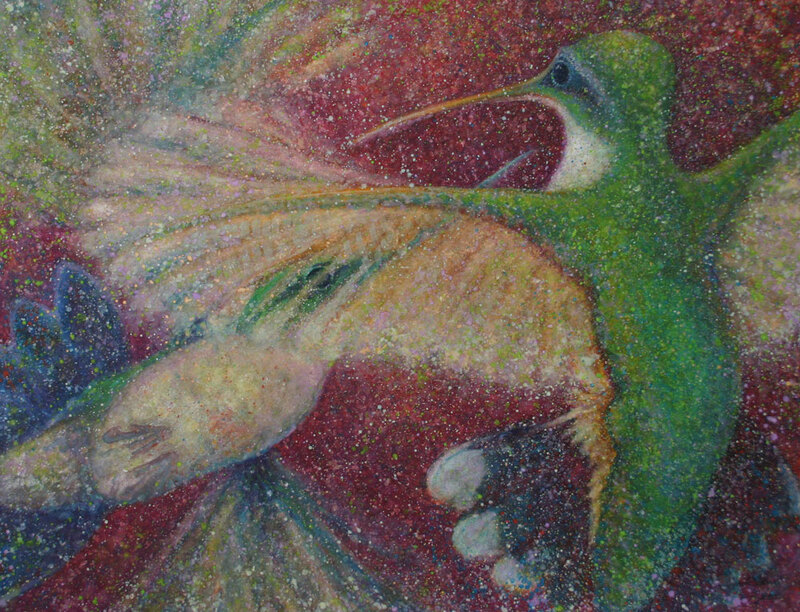 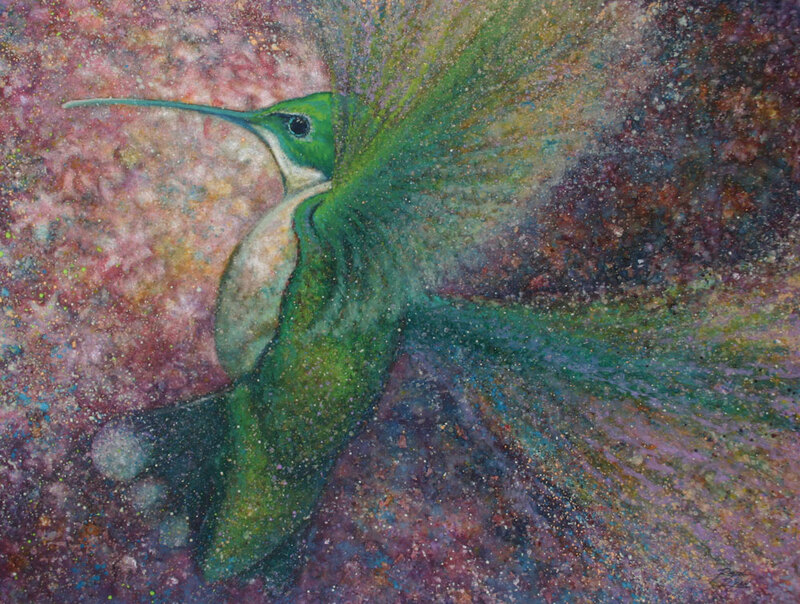 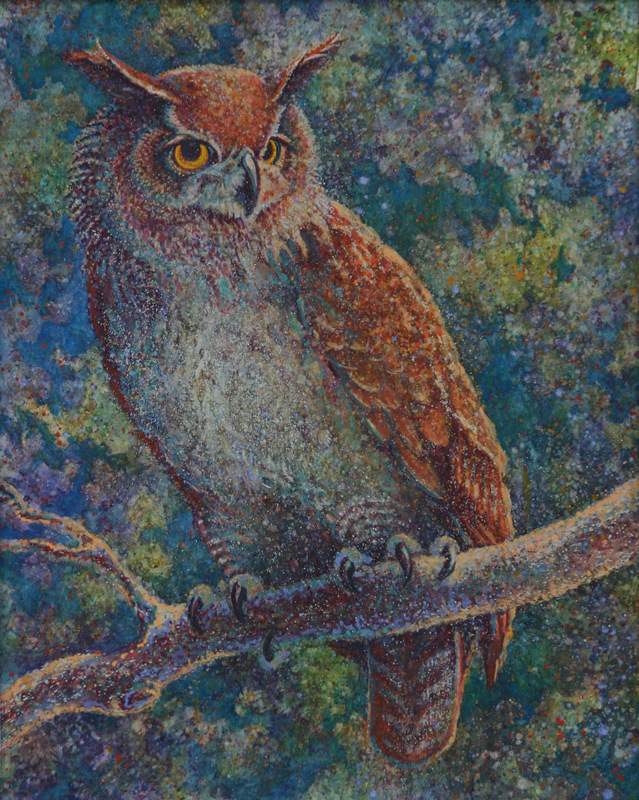 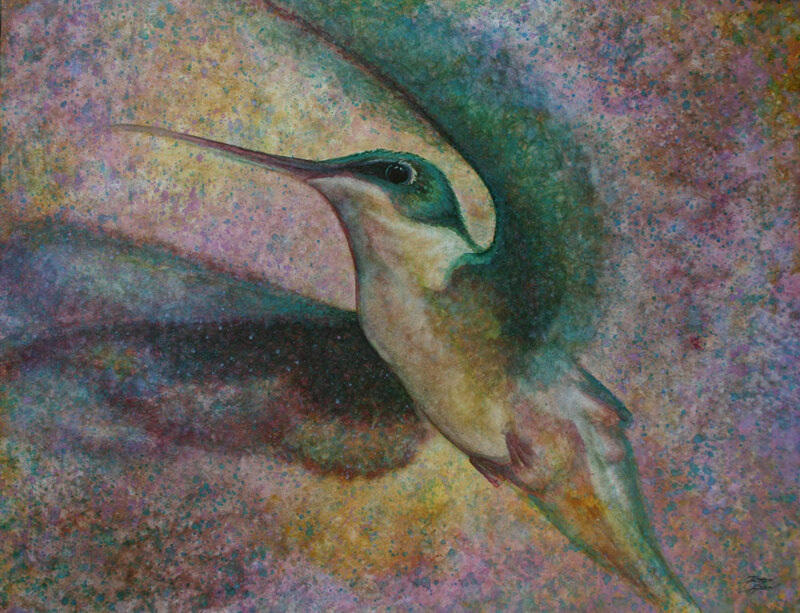 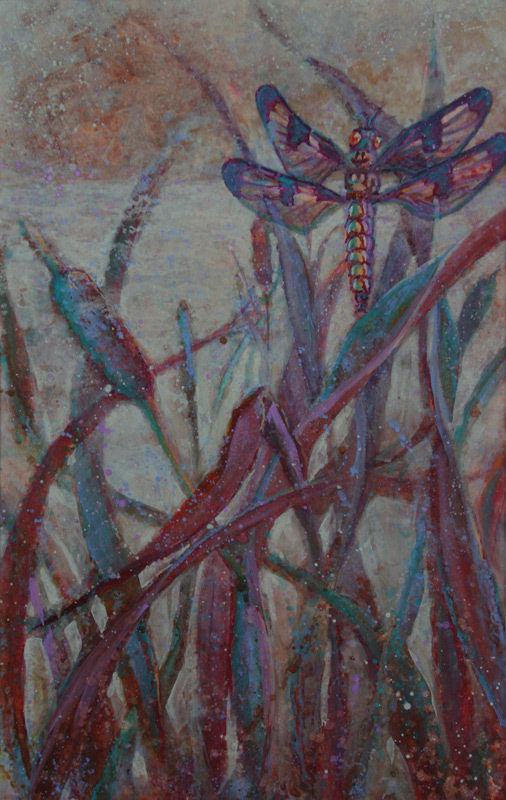 These paintings highlight my love for local Virginia native wildlife and expressing this through using both lively color choices and vibrating textures. 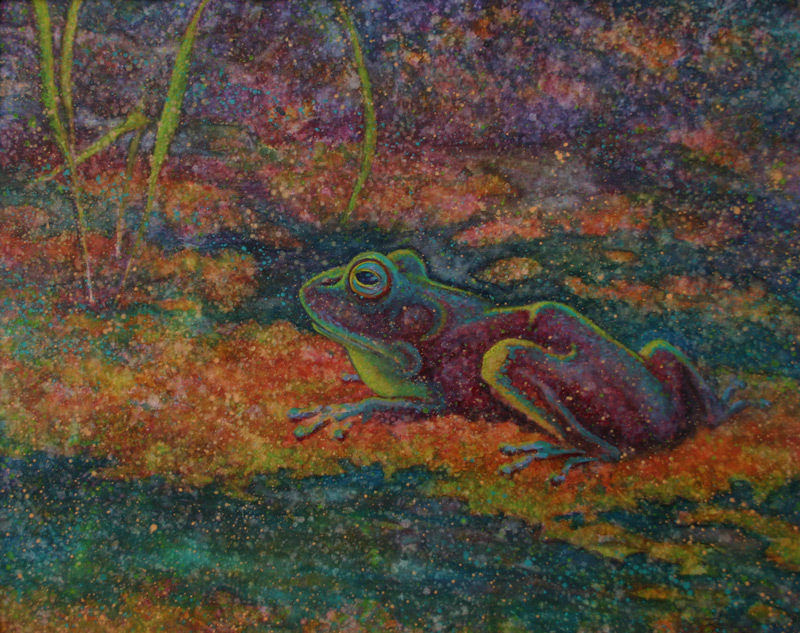 The subjects in these paintings were not drawn but were literally “lifted” from a mono-print “like” background created by flipping the dampened paper and wet pigment multiple times on an acrylic/plastic surface, mixing colors and shapes both front and back. 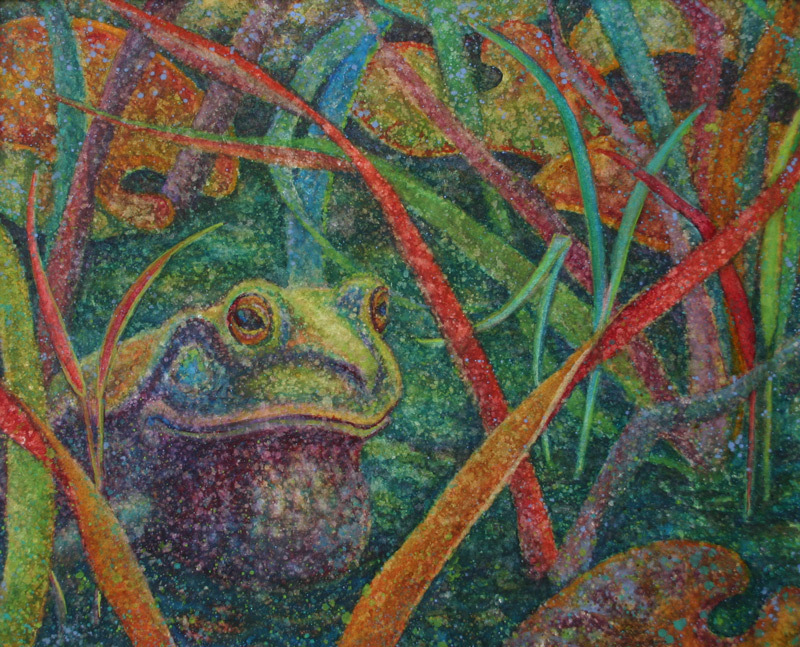 I then developed the compositions using both additive and subtractive watercolor techniques to achieve the unique and bold depiction of my subjects with vivid colors of transparent and opaque watercolors. 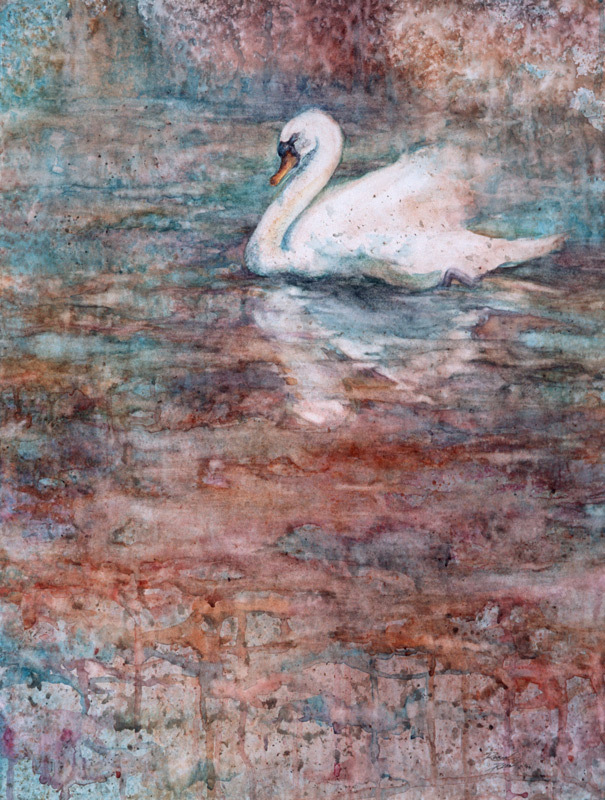 The German-made Torchon paper is lighter and smoother than typical watercolor paper and provides a wonderful surface for these techniques with its broader surface texture and lifting properties. 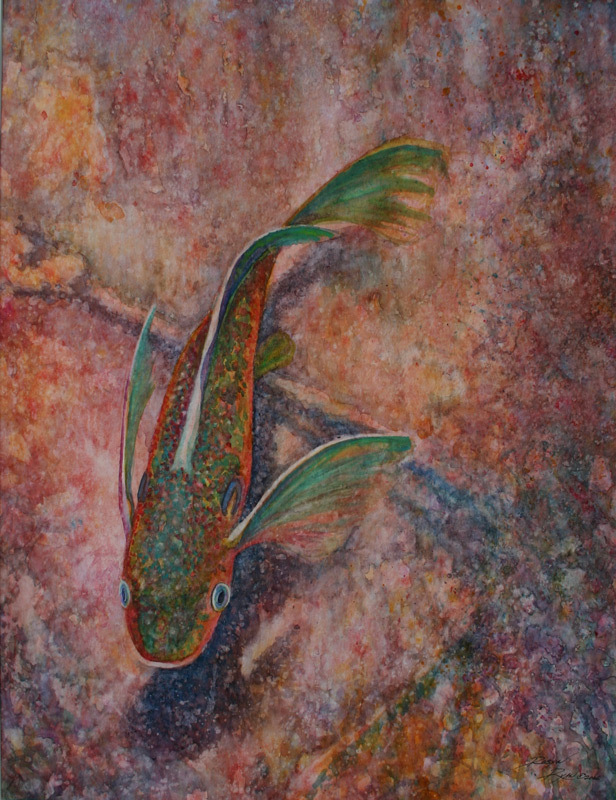 My paintings of landscapes and animals, wild or domestic, are a celebration of the wonder of God’s creation – the variety, beauty and complexity of every living thing inspires us to examine ourselves, our environment and our priorities. 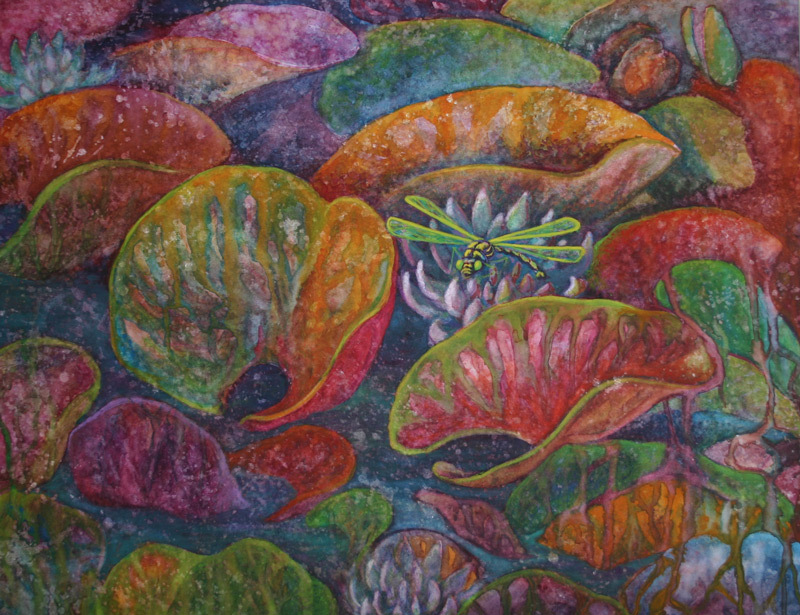 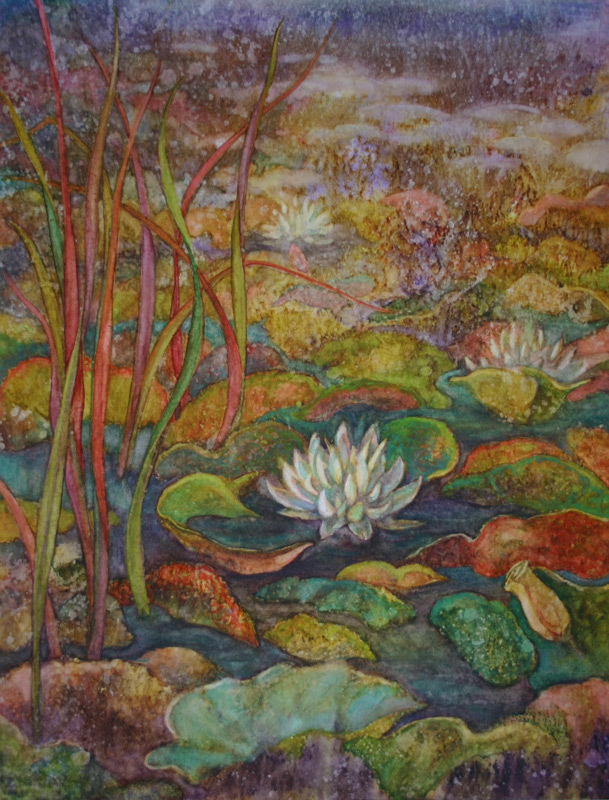 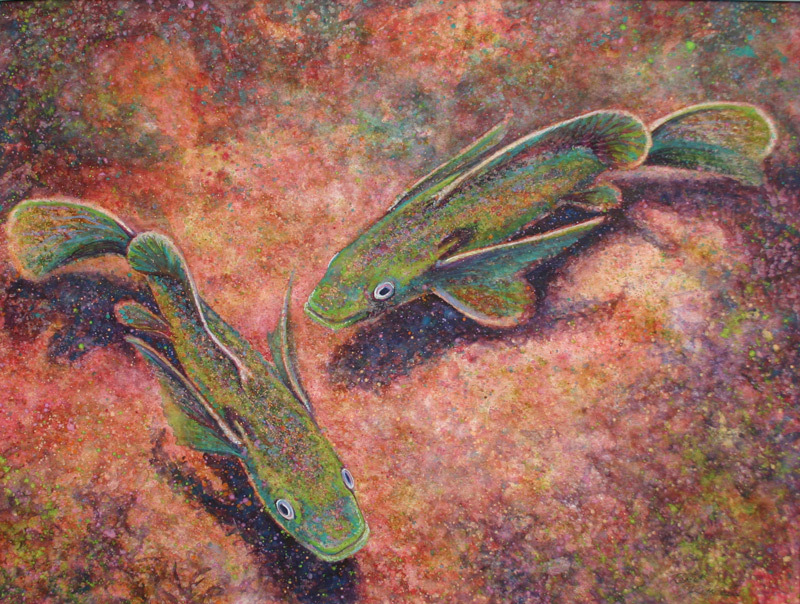 These paintings in my “Pond Series” reflect the freedom within nature and the exuberance of life it inspires within me.